Billy Griffiths has won the 2019 Ernest Scott Prize for history for his book Deep Time Dreaming (Black Inc.). Griffiths book was chosen from a shortlist of four books, announced in March. 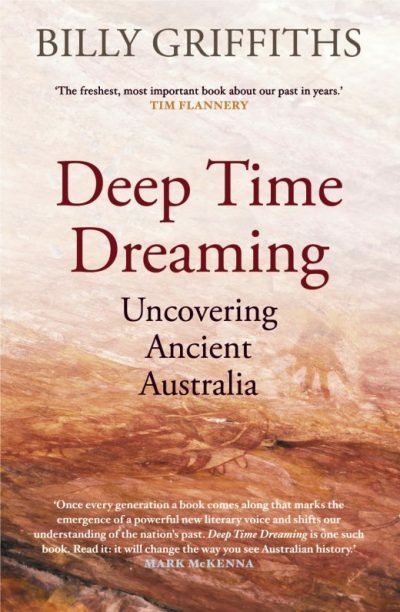 Deep Time Dreaming, which was winner of the John Mulvaney Book Award and shortlisted in the Queensland Literary Awards and NSW Premier’s Literary Awards, investigates Griffiths’ journey in archaeology and investigates the revolutions of ‘uncovering the traces of ancient Australia’ and ‘the reassertion of Aboriginal identity in the second half of the 20th century’. The $13,000 prize is awarded annually to a work based on original research that contributes to the history of Australia or New Zealand or to the history of colonisation. The prize is presented by the University of Melbourne’s Faculty of Arts, in conjunction with the Australian Historical Association. As previously reported by Books+Publishing, Michael Belgrave won last year’s prize for Dancing with the King: The Rise and Fall of the King Country, 1864-1885 (Auckland University Press). For more information about the Ernest Scott Prize, click here.